I have always loved to cook, but baking isn’t really my forte. So on this journey of improving our little world, I thought I should attempt to improve my baking skills. 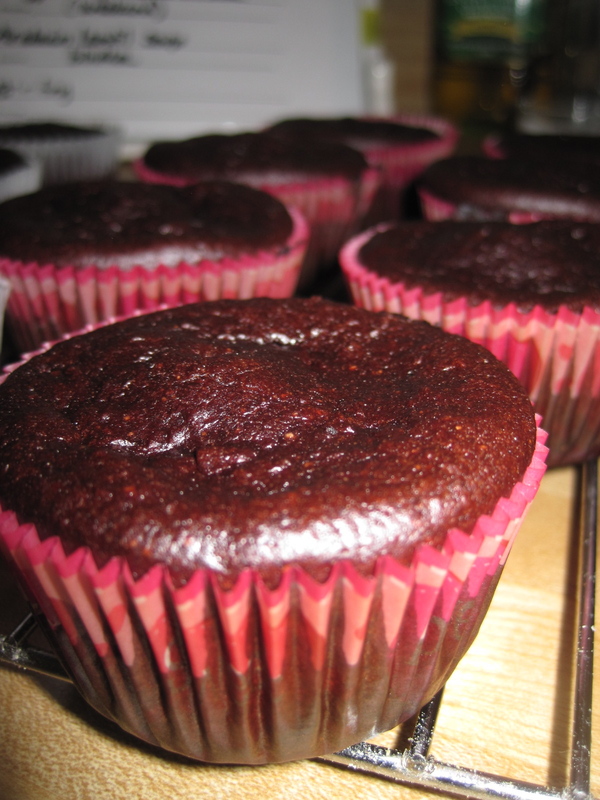 Truly, if you haven’t tried baking gluten-free, it’s more like a science than baking, then you add in the vegan factor… well get your high school chemistry skills dusted off. 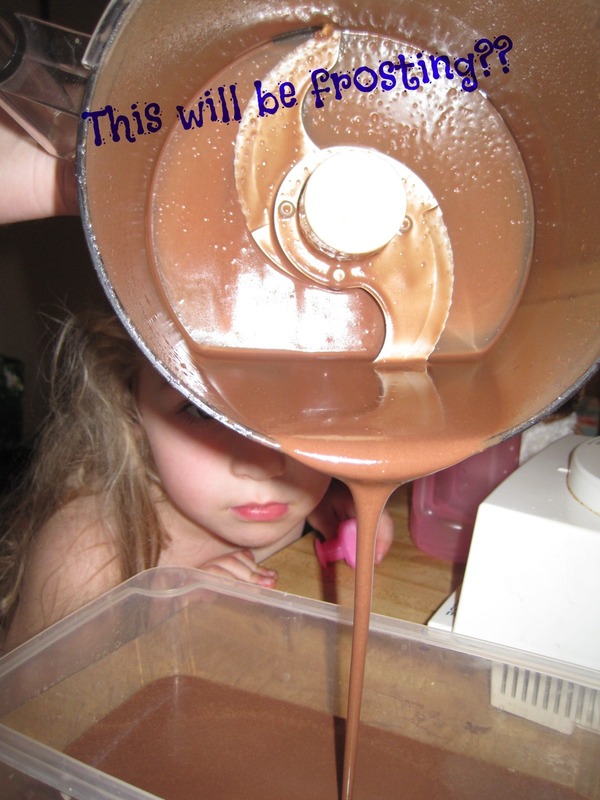 It doesn’t seem difficult, but you will be surprised at all the odd ingredients you will need. After a few hours at the local Co-op I found all the ingredients need to make the Chocolate Vegan Gluten Free Cupcakes and the Chocolate Frosting. A few odd ones, I have heard of but never used: Arrowroot, xanthan gum, agave nectar, coconut flour, dried rice milk powder. 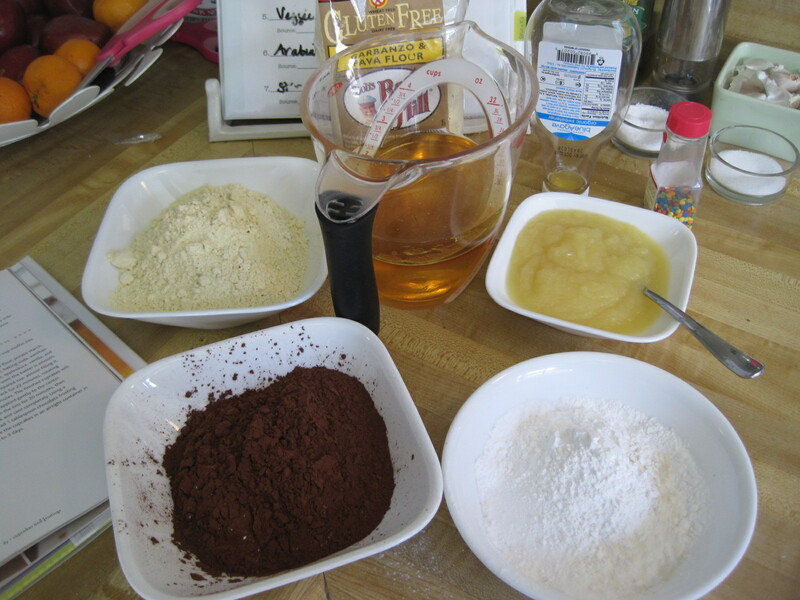 And others I have used but not in baking: Coconut oil, rice milk, unsweetened cocoa powder, garbanzo-fava bean flour, plus your basics are needed. Well not really your basics, no eggs, milk or butter here! So to start, you need to make the frosting in the food processor (yes really) a day before or at least 6 hours, so it has time to chill and become more solid again. We did this yesterday and I had serious thoughts that this was going to be a disaster. 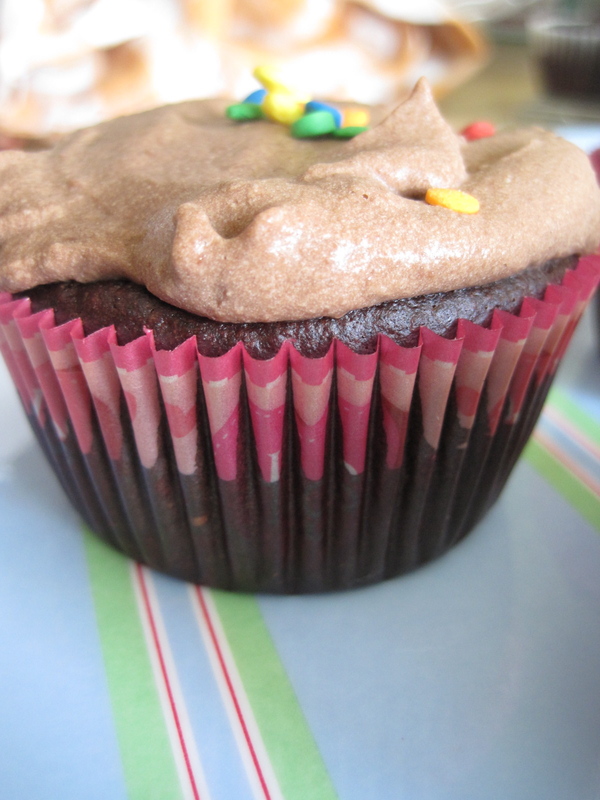 The frosting was runny, like really runny, but I followed the recipe exactly, so fingers crossed it would work out. 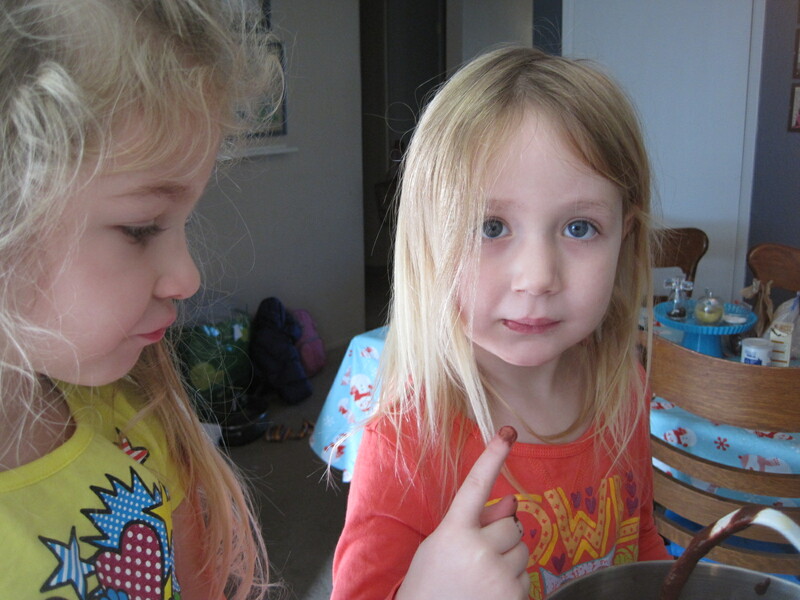 It went on and on until I let them (finally) taste the “chocolate.” I warned them many times that is was unsweetened cocoa powder and that even though it smells like chocolate, it doesn’t taste like it. They wanted to try anyway. Shockingly, they both thought it was disgusting! After we added the agave nectar to sweeten it up, they were reluctant to try after the last taste test, but finally did and it was good. Okay this might actually turn out. After 22 minutes in the oven, and 20 minutes cooling in the pan and then a bit more cooling it was time to try them out. 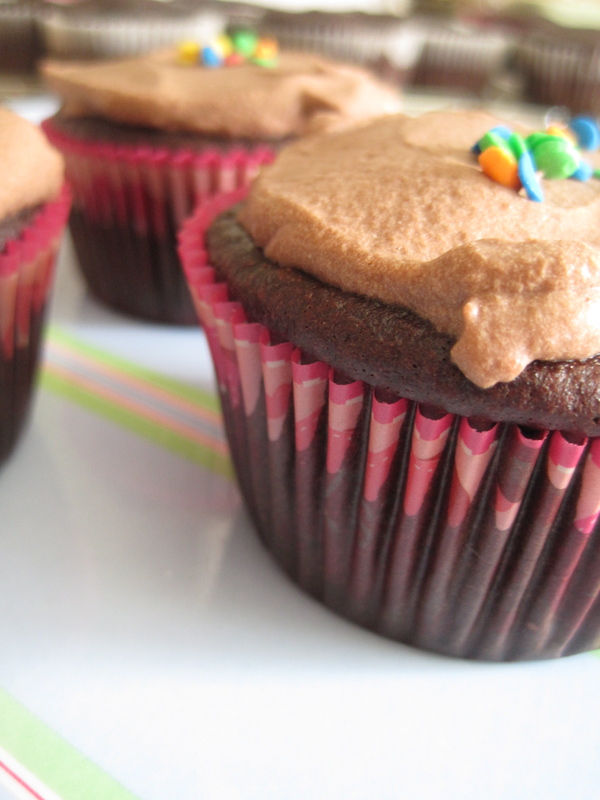 They smell like “real” chocolate cupcakes, they look like it too. Verdict: Delicious, but the frosting needs work. It’s a bit gritty and I have no idea why? I am going to make an educated guess and say that the rice milk powder and the coconut flour where not absorbed all the way, but who knows really. 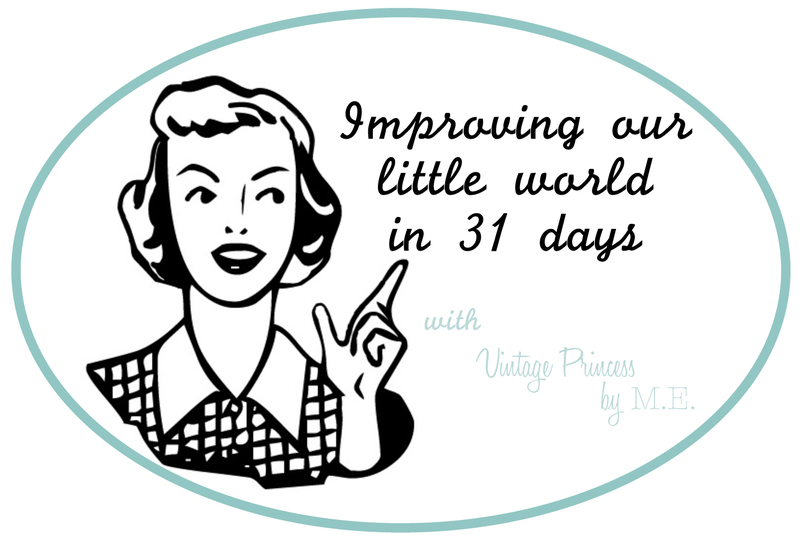 I will try again, because I know it must work! 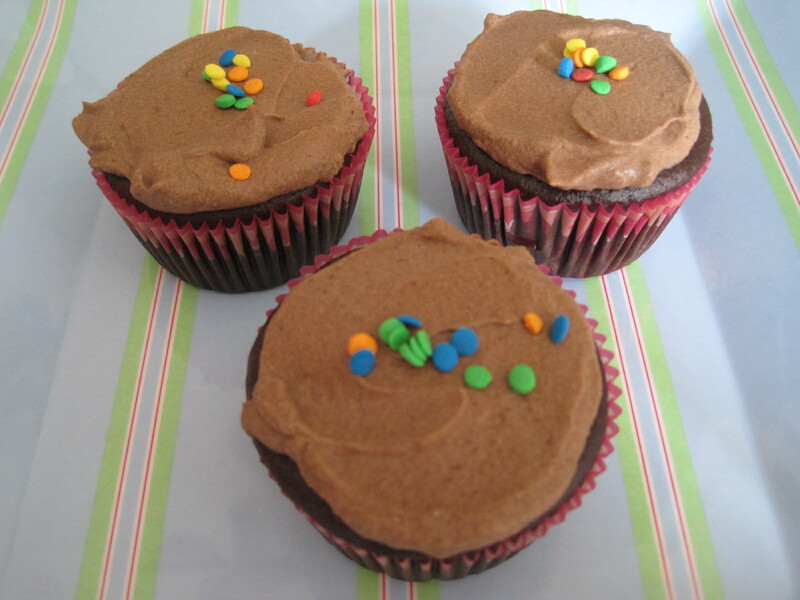 So I am going to ad another improvement to my list for 2013…improve my making of chocolate vegan frosting. Anyway want to be my taste testers?